Bondi Beach is definitely one of my favourite tourist destinations in Sydney. I'm not sure if I'm lucky or unlucky because when I was in Sydney, it's considered their winter season and it was drizzling on some days as well. On the day I visit the Bondi beach, there was only a few people on the beach and they were either joggers or surfers. And then there you have two crazy tourists standing on cold sands on the beach taking photos (yup that's me!). Guess it's a give and take? Well give me a choice, I rather be here cold and quiet than having the crowd. I think I am REALLY lucky because it only starting pouring when I was done with 200 shots of my outfit (lol). The sky seemed to have given me a small window of clear sky without rain to let me take some nice shots. Thank you sky! 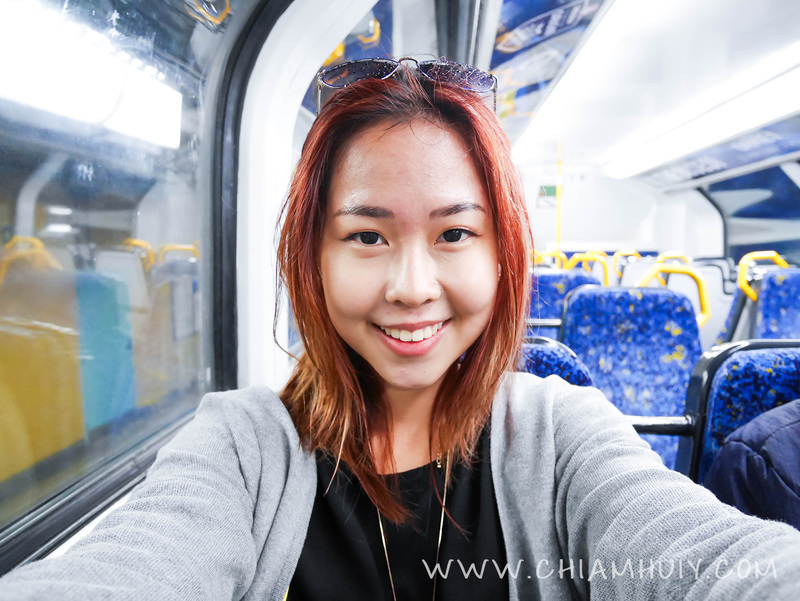 Which I then changed to bus 333 and it took another 10 mins to reach the Bondi Beach. I did not take note of the number of stops because I had my wifi device with me (c/o to yourwifi), so I can practically search my way throughout. If you do not have any data connection, you can save an offline map from Google Maps on your device by keying in "ok maps". However, I strongly recommend getting access to data or wifi because it saves a lot of trouble! 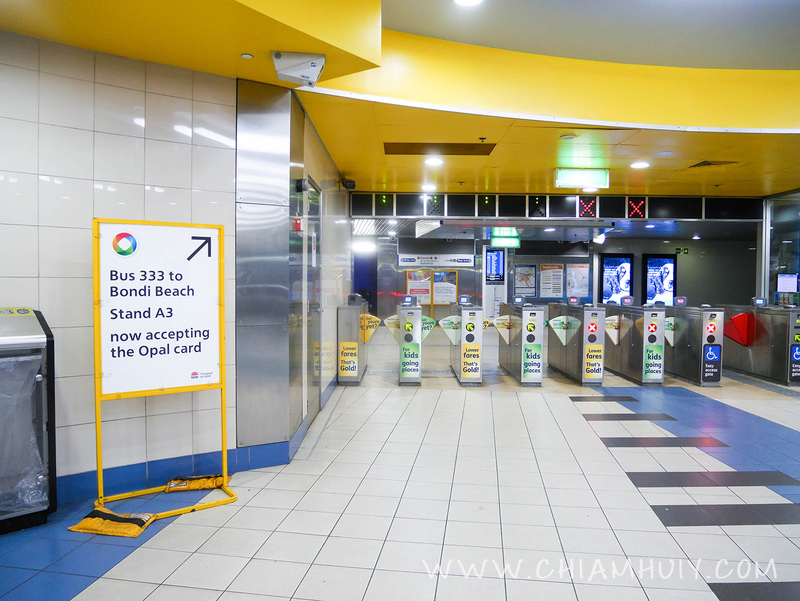 The Opal card stated in the signboard is another thing that I recommend you getting. Apparently with this card, all fares are much cheaper. 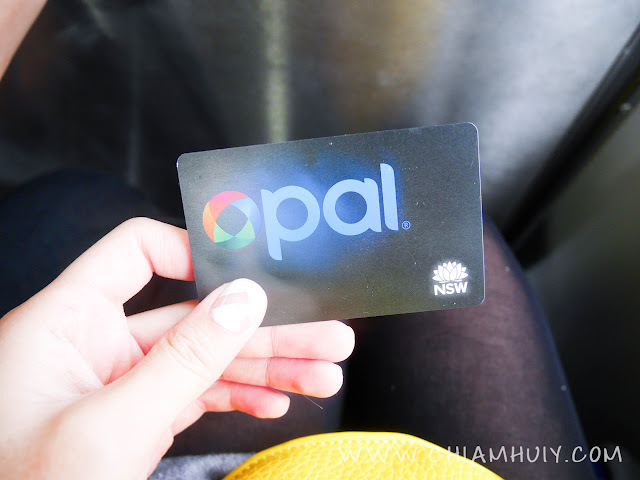 The usual price from the airport to the central is AUD$17, but with this card, it's only about $15+. 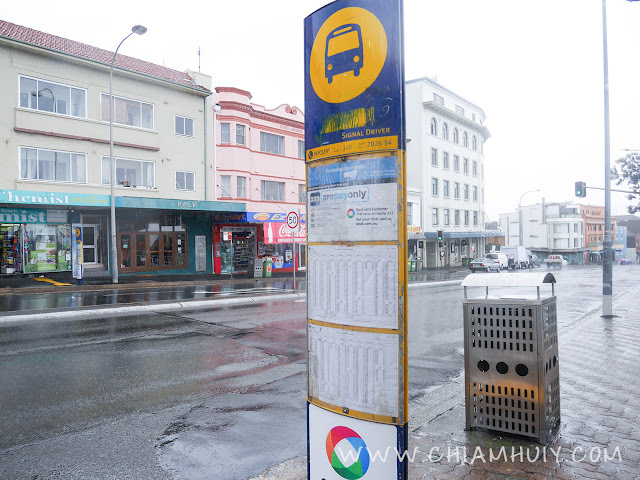 And you also save you the hassle of searching notes and coins while boarding both buses and trains! Think it as our ez-link card. 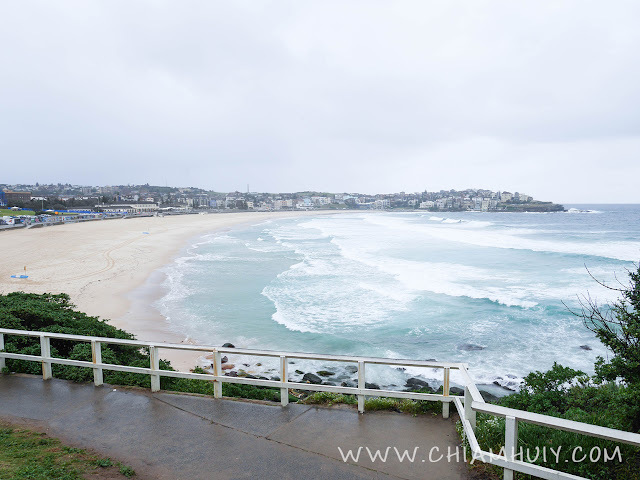 The bus stops near Bondi Beach. 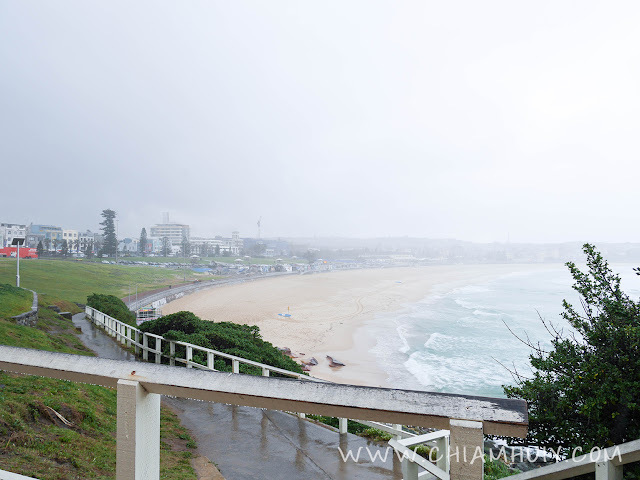 This is the stop I take to head back to Bondi Junction Station. The one opposite is the one you should alight from. And you can bet.... 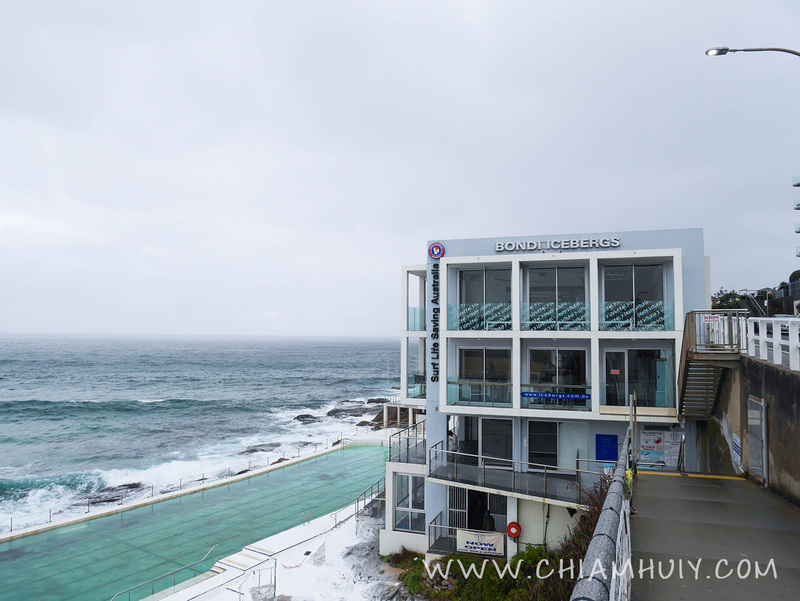 It was really cold!! 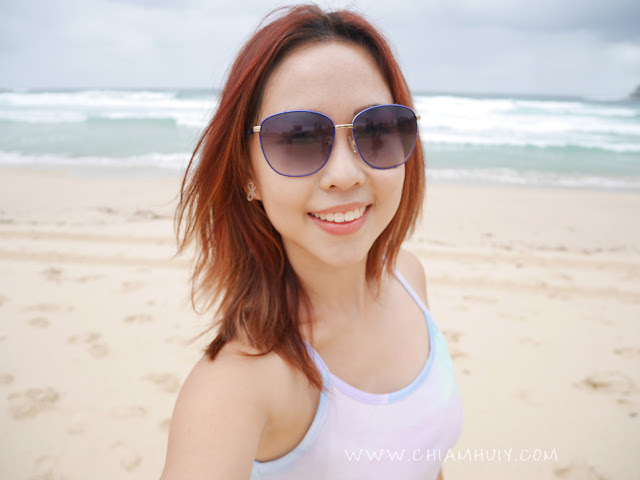 What's the chances I can take such nice pictures on the beach without having anyone photobombing? So glad I make the trip down despite the bad weather! Bondi Icebergs. Apparently it was under renovation when I was there. Boohoo! And the super quiet beach without any single soul! 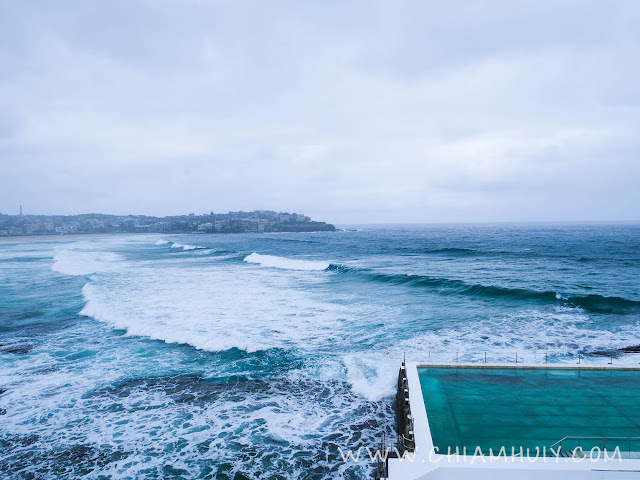 Bondi beach is definitely one of the places you have to visit no matter what when you're in Sydney. 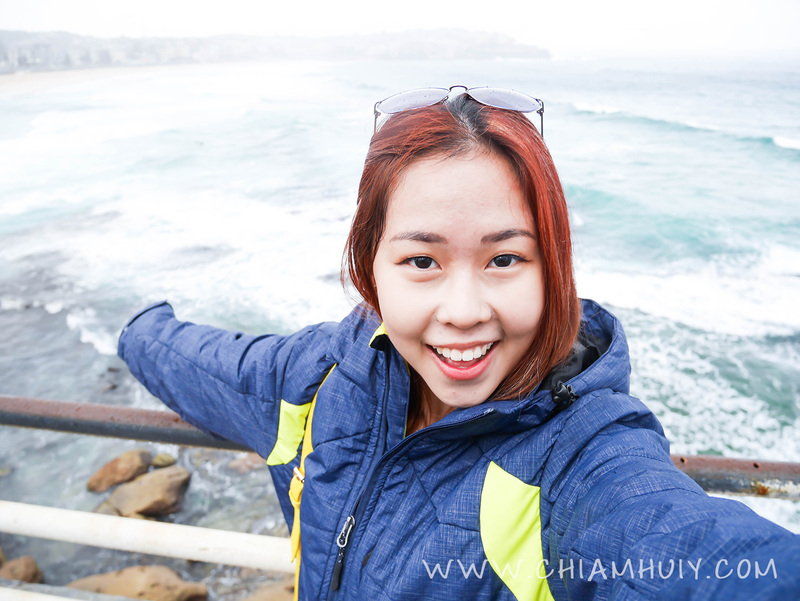 Also, read my travelogue on the Blue Mountains Tour. Don't miss the famous Gumshara Ramen in Sydney! Grab some fresh seafood from Sydney Fish Market. 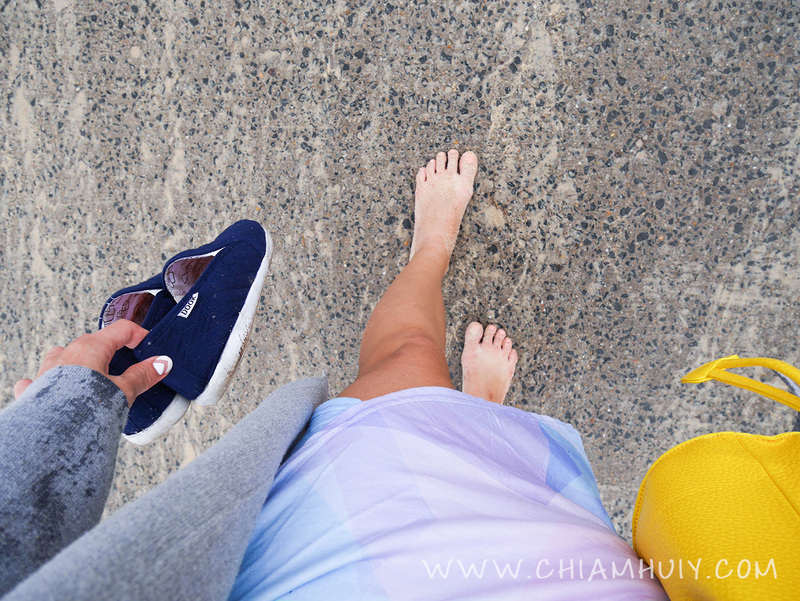 And also a quick Aussie packing list that may help. 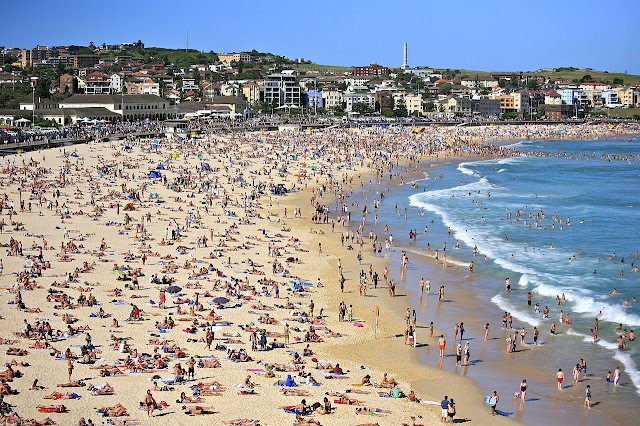 For more info on Bondi Beach, visit here.